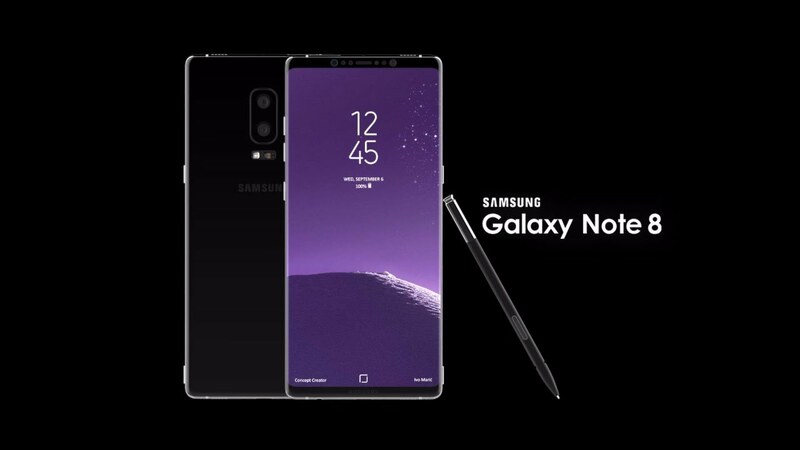 After great success of Samsung Galaxy S8 now the rumors have started for Samsung Galaxy Note 8 coming out from the great leaker Olixar last year having successfully leaked the iPhone 7 and Galaxy Note 7 and Galaxy S8 in January and also revealed the iPhone 8 in an impressive way. According to resource the Galaxy Note 8 is most powerful phone from Samsung Family after the Galaxy S8 and also mention that the company has three variants of Galaxy Note 8 FlexiShield, X-DUO and the last one is ultra-Thin, let’s see what will come these are only rumors. According to Olixar’s Source the device having a horizontal dual rear camera on the back side of the phone. Next, to it, we find the heart rate sensor and the fingerprint sensor. That’s right, Samsung could be choosing to stick with the strangest Galaxy S8 design decision, in spite of the criticism it received. Apparently, on a Galaxy phone as big as the new Note, that’s the only place that would fit a fingerprint sensor, no matter how hard and/or awkward it might be for the user. The good news is the Galaxy Note 8 looks like an even more complicated 6.3-inch v 6.2-inch version with super AMOLED screen with 2k resolution and an 18.5:9 aspect ratio with the stylus and exciting Dual camera and might be with the Snapdragon 836 chipset that would be the most powerful chipset made by Qualcomm. According to Resource the specifications of the phone might be a pair of 16+20 MP Camera with the F/1.7 aperture for the primary and f/2.2 for the secondary sensor. The Source also confirm that location of LED flash, Heart rate sensor, 3.5 mm headphone jack, USB –c port and bottom as well as the slot for the s-Pen, and having battery 4100mAh let’s wait and watch and these sources are like the pinch of salt. Stay tune for more update about this product and you can give your suggestion in the comment box.